This Sgt. 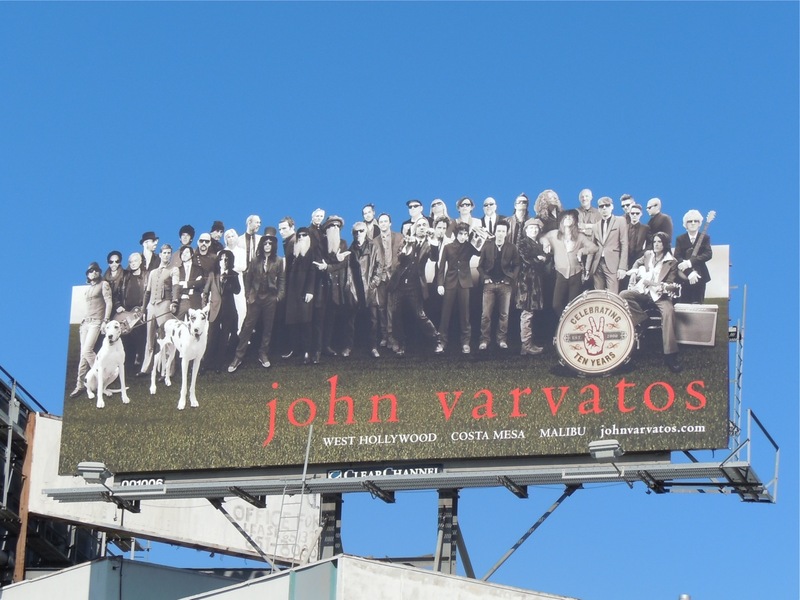 Pepper's Lonely Hearts Club Band inspired billboard, to celebrate a decade of the John Varvatos fashion brand, really stands out along Beverly Boulevard in L.A. There's a real all-star crowd from the music world to wish him well, including the likes of rock legends Slash, ZZ Top, Aerosmith, Alice Cooper and Iggy Pop. The celebrity adorned billboard was snapped at Crescent Heights Boulevard on October 11, 2010 and looks great in mono against that blue Californian sky. 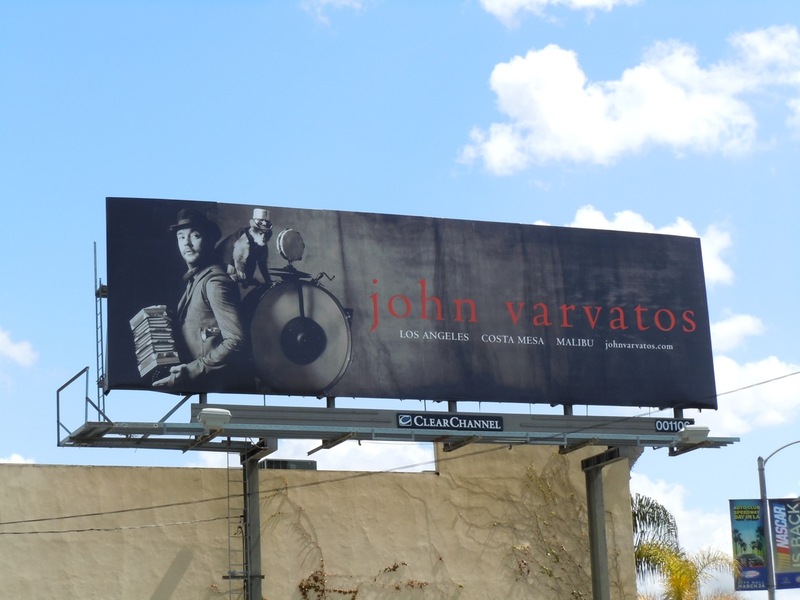 UPDATED: Here's another cool billboard for the fashion designer photographed at Gardner Street at 3rd Street on March 13, 2011.